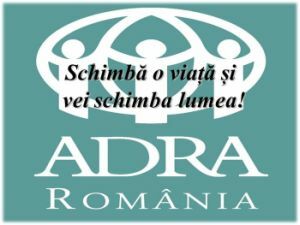 You are here: Home / Noutati website / Adventists on Google+ Directory – Add yourself today! Adventists on Google+ Directory – Add yourself today! Intercer Adventist News and Lucian Web Service released the „Adventists on Google+ Directory” on October 20, 2011. This is an online directory where you can add yourself and also search for other Adventist fellows around the world. Considering the recent grow of Google+ social media network, we think this Directory will be of use for Adventist people to connect, encourage and share their faith together. Visit it here: Adventists on Google+ Directory . You can see some visual help below in the included images. You can add yourself using your Google+ ID or using the „Sign in with Google” button. 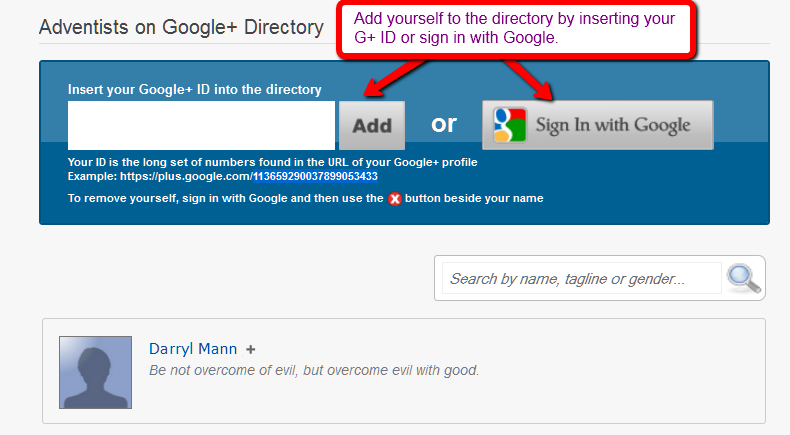 For now we show your Google+ name, picture and tagline in the directory. Your name and picture are linked to your Google+ profile, so other people can contact you there. To edit your tagline and make it visible edit your Google+ profile. 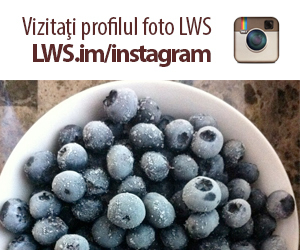 Tagline is located right under your name, as shown in the image below. Set the visibility to „Anyone on the web” to make your tagline public. This way your tagline will also show in our directory. You can search by name, tagline or gender (male, female). Also you can remove the search filter by clicking the x button showing the current filter. 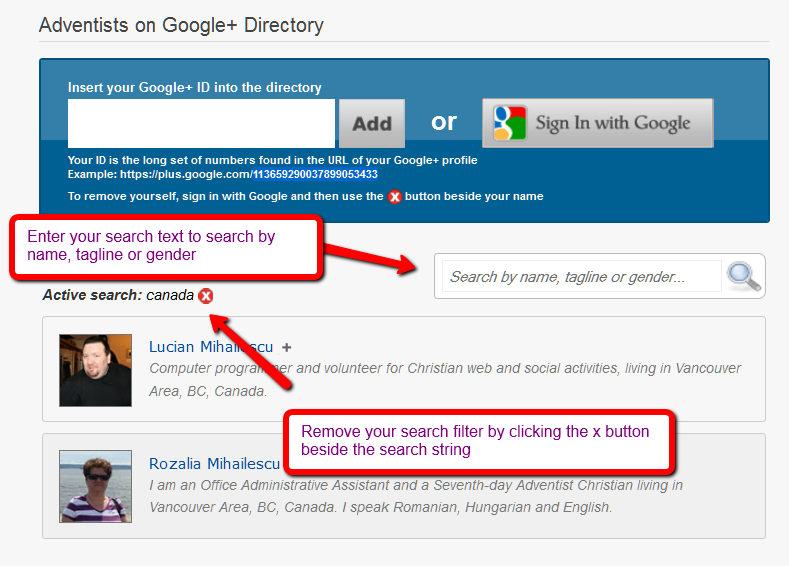 If at a later time you decide to remove yourself from the directory, you can do so by signing in with Google and then clicking the x button beside your name. Later on we may add more features to the Adventist on Google+ Directory, based on the people’s interest for it and available funding. 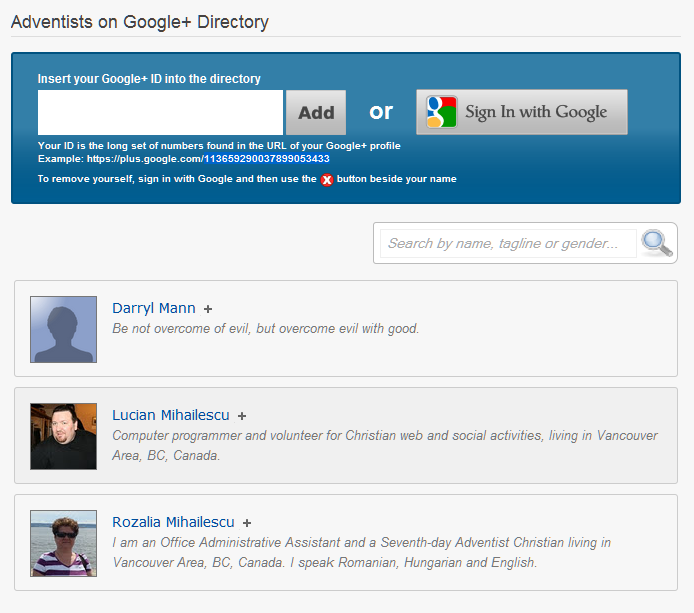 Visit it and add yourself today in the Adventists on Google+ Directory ! 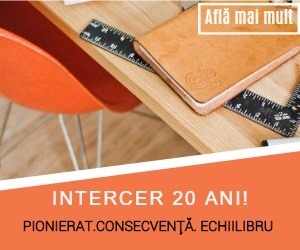 Share this article or the Directory URL (http://en.intercer.net/gplus) with your friends. Use the share buttons at the top of the page to send it on Google+, Facebook or Twitter.